Moprhiis is a customizable\changeable mattress that can be adjusted right at home! This provides many different firmness levels and options for the sleepers to find their sweet spot! See our findings below. The Morphiis mattress is a truly unique product, standing apart from all other mattresses with its revolutionary design. 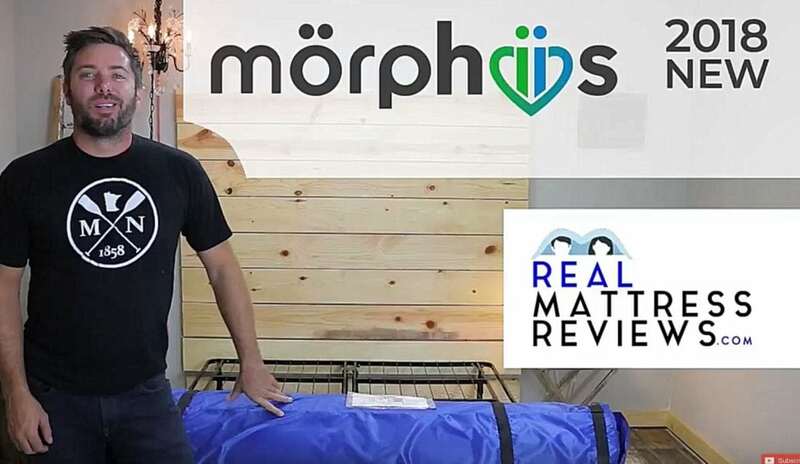 Unlike other mattresses that typically consist of multiple layers of coils, memory foam, or a combination thereof, the Morphiis mattress utilizes a revolutionary new design that has the potential to completely revolutionize the way mattresses are designed and utilized. The most notable quality of the Morphiis mattress is that is entirely customizable: it features interchangeable inserts that can be rearranged whenever you want to adjust the feel, comfort level, and support of your mattress on both sides. This unique design allows both you and your sleep partner to create the perfect arrangement for your individual needs. The Morphiis mattress (including all the inserts) is shipped to your home entirely for free and will arrive in a sealed blue bag. Typically, your mattress will arrive within three to five business days of your initial purchase. Like with all foam mattresses, you will need to give it time to expand out to its full size after first unpacking it. And because this mattress is so tightly compressed for the shipping process, it’s generally recommended to allow your mattress to sit out for at least a full day (24 hours) before sleeping on it, to ensure that it reaches its full size and shape. Want a customizable mattress. 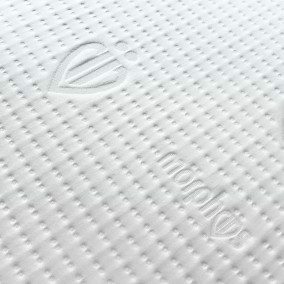 The unique and innovative design of the Morphiis mattress allows you to swap out special foam inserts in order to personalize the level of firmness and support in any area of the mattress. Want a mattress that works well for couples. Because of hos easy it is to customize and adjust both sides of this mattress, the Morphiis is a great choice for couples. You and your partner can both adjust your sides of the mattress using the inserts without impacting the other person’s comfort level; therefore, this mattress is a good choice if you want a mattress that can meet the needs of both you and your partner without either of you needing to compromise. Want a affordable high-quality mattress. This mattress is incredibly reasonably priced, especially once you consider how easily it is to customize your individual sleeping experience by swapping around the specially designed foam inserts. Additionally, shipping and delivery is entirely free, and if you do decide to return your Morphiis mattress for whatever reason, you can receive a full refund and send it back at no cost to you. Want a memory foam mattress. 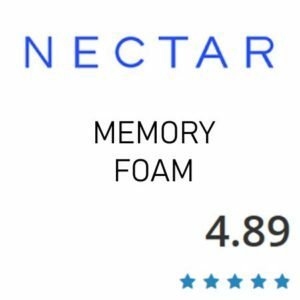 While the Morphiis primarily features UltraFoam rather than traditional memory foam, the overall consistency and feel remains pretty much the same as memory foam. Therefore, if you’re a fan of body-conforming foam mattresses that offer a combination of support and comfort, this is likely a good choice for you. Want a mattress with an extended warranty. With a warranty that lasts for twenty-five years, you can rest easy knowing that if something goes wrong with your mattress all you need to do is contact the company and they will strive to resolve the issue to your satisfaction. Want a mattress that ships for free. Unlike some online mattresses that can be expensive to have delivered, the Morphiis is shipped and delivered entirely free of charge. On top of that ,delivery is often quite quick, within three to five business days. Additionally, if ou need to return the mattress for any reason, return shipping is also free. Want a good trial period. While there are some competing brands that offer longer trial periods, the one hundred day trial period that comes with the Morphiis is still quite generous, and is plenty of time for most people to come to a decision about whether or not he Morphiis mattress is the right fit for their sleep needs. Want a mattress that remains cool. 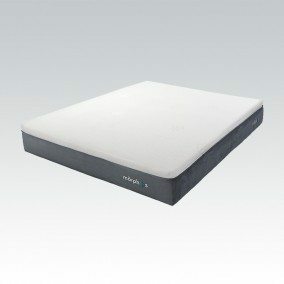 Thanks to the breathable cover and specially designed UltraFoam, this mattress is great at not retaining too much heat. This means that you don’t need to worry about overheating at night, even if you tend to run a little warmer. Want a mattress that’s good for reducing motion transference. Thanks to the UltraFoam, which is great at absorbing vibrations from movement, and the unique design of the mattress that involves separated adjustable inserts, this mattress is great for reducing motion transference; even sharp or heavy movement can barely be felt across the mattress. Don’t want to deal with the adjustable inserts. While the unique design of this mattress allows for a customizable sleeping experience, you will need to manually swap out the foam inserts yourself to change the firmness level of the mattress; if you either don’t have the time to spare for this or just don’t want to deal with the hassle, this mattress might not be a good option for you. Don’t have space to store the spare inserts. The Morphiis mattress comes with thirty-six inserts total, but the mattress itself only utilizes twelve of them at a time, meaning that you will need somewhere to store the remaining inserts when they’re not in use. Therefore, if you live in a small home or apartment and don’t have much in the way of storage space, this might not be the right mattress option for you. The most impressive thing about this mattress is that you can customize the comfort, support, and feel of it quite easily thanks to it innovative design. You can switch between soft, medium, and firm by swapping out the color-coded inserts, allowing you to find the perfect comfort and firmness level for your own individual needs. 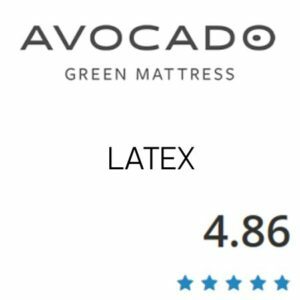 Because this mattress primarily features UltraFoam rather than more traditional varieties memory foams, you can expect it to be very comfortable while also great for weight distribution, motion transference, edge support, breathability, and maintaining a cool temperature. Because it is made entirely out of various memory foams (which are renowned for being great at absorbing vibrations), the Morphiis mattress is a great choice if you want a mattress that reduces motion transference (the phenomena where motion or movement in one part of the mattress transfer across the mattress and disturb your partner’s rest). 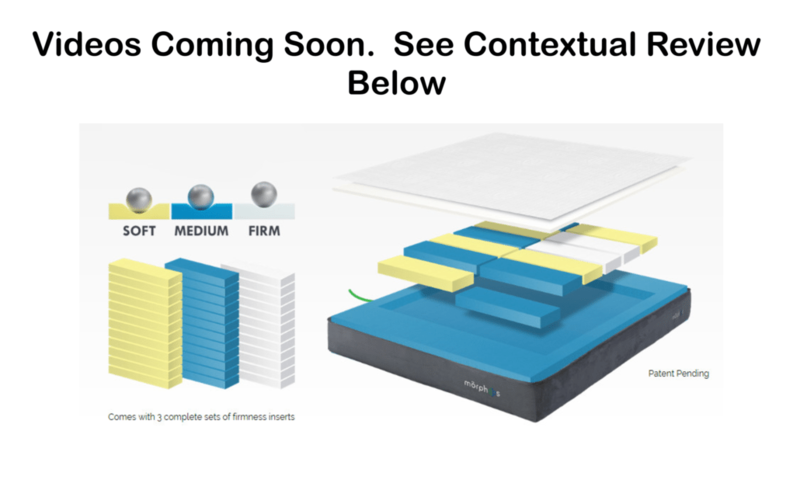 Motion transference is reduced even further because the foam inserts that form the main portion of the mattress are individual and separated, meaning that very little motion and movement can transfer between them to begin with. Like with all foam mattresses, there are probably going to be some unpleasant odors and fumes that occur when unpacking your Morphiis mattress; this is completely normal and is the result of the compression process that the memory foam undergoes for shipping, but it is recommended to let your mattress air out before using it so this smell can dissipate. Also, rest assured that even though there might be some strange smells, no harmful chemicals or materials were used in the construction of your mattress, so the unpleasant aromas really are just a by-product of the packing and shipping process. While not featuring any specific reinforcement at the edges, the unique design of this mattress means that the outer edge of the mattress is stronger due to the fact that it is also forms the barrier around the adjustable inserts that keeps them in place while you sleep. This means that the outer edges are designed to be firm and sturdy without being too hard; additional, the edges offer good weight distribution and are fairly durable, although there might be a slight difference in the overall feel in the mattress between the edges and the adjustable inserts. The Morphiis is known for its innovative and cutting edge design that emphasizes customization and easy adjustment. At ten inches thick, it is made entirely out of foam, but features a unique design that cannot be seen in other foam mattresses. This special design features two channels, one on each side of the mattress (essentially, one for your side of the bed and one for your partner’s side), and each channel can hold six interchangeable inserts. These inserts are made up of different types of memory foam, and they are even color-coded according to firmness level for easy switching! The yellow inserts are soft, the blue inserts are medium, and the white inserts are firm. This innovative design allows you to thoroughly customize your mattress; for example, if you need more support for your lower back but need a softer firmness for your upper body, all you need to do is position the inserts accordingly. This capability to customize also makes it a great choice for couples, since each person can adjust their own side of the mattress according to their needs without needing to worry bout compromising for their partner’s sake. When you order a Morphiis mattress, it will come with a complete set of inserts: 12 each of the soft, medium, and firm varieties. This will allow you to create a virtually endless number of customized arrangements and find the perfect layout for your needs. The inserts are made using UltraFoam, a type of specially designed foam that is cooler than memory foam as well as more responsive and less prone to sagging and breaking down over time. The cover of the mattress is composed of a knitted polyester and Tencel fabric paired with a reinforced polyester elastan blended material; this combination of materials results in a very durable cover that will last a long time. The Morphiis will work great on any solid surface. The floor, platform slats, boxspring/foundation and they now offer an adjustable base as well. The Morphiis is a very interesting design. In a good way, especially for the online market where you are not trying the mattress first. The fact is, no matter what you like you should be able to achieve the feel with this mattress. Not everyone will probably like messing around with it but for those who are not sure what is right for them or have been through a few mattresses trying them out, this is a great option. Most people will find the perfect sweet spot for themselves. One thing you will need to like an all foam mattress feel. If you are after a hybrid or innerspring you will not probably like the foam feel. We did not need to do much adjusting to find a nice medium to medium soft feel that we both like. It was easy to adjust and its am impressive feature. The overall design, feel and performance of the Morphiis was impressive and I would recommend this to anyone just not sure what is right for their body. Unlike most ordinary foam mattresses that retain heat and aren’t ventilated well, the Morphiis remains cool when you’re sleeping and doesn’t retain too much body heat. Additionally, the UltraFoam used in the making of this mattress is more breathable than traditional memory foam, so the Morphiis mattress is better ventilated in general and will stay cool longer. Additionally, the special design and layout of this innovative mattress means that there are small air channels in between the adjustable inserts, allowing for better air flow and ventilation throughout the mattress. And finally, the cover of the mattress is made of light weight materials and is designed to be breathable and not trap too much heat within the mattress, helping to provide a cooler sleeping experience. The Morphiis being all foam will work great on an adjustable base. The Morphiis mattress features a one hundred day risk-free trial, so you try out the mattress for a little over three months to see if the unique design and function is right for you and your sleep needs. And if you do end up deciding that it’s not eh right mattress for you, returning it is entirely free and you will provided with a full refund. And if you do decide to keep your Morphiis mattress, it will come with a 25-year warranty that covers any defects of problems with the mattress; if you experience an issue that compromises your satisfaction with the mattress, all you need to do is contact the company’s customer service department and they will work hard to resolve the situation for you. Additionally, shipping, handing, and delivery is entirely free when you purchase a Morphiis mattress; similarly, if you end up needing to return it for any reason, shipping is also free. 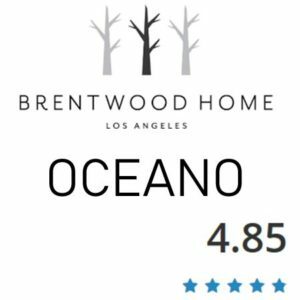 It is also incredible affordable, especially when you consider the easy customization that allows you to change the mattress to suit your needs at will. Morphiis is a new company that is exclusive to online. They have come up with a innovative design that is sure to stand apart form the many “one feel fits all” brands. “I get such a great night’s sleep on my mattress I have been known to put it in my car and take it with me when I travel. That’s how good it is! No more waking up with a sore back after sleeping on a too hard, too soft, or too lumpy bed/ Now all my friends in New Zealand want one too!” – Rachel J. “I purchased the Morphiis despite being very skeptical. I was wrong. I simply love it. Best sleep I’ve ever had.” -Susan M.
“I was skeptical of another mattress story but the idea of Morphiis struck a chord so I bought one knowing I had no risk. After 10 days of sleeping on it I am very satisfied. Well done Morphiis. PS: I also love the pillows.” – Jenn T.
“I received my Morphiis last week and am loving ti. Have never slept this well.” -Jesse. “I think this is the best mattress ever! I would highly recommend it! […]It has been the perfect match for me, I can’t say enough good things!” -Diane B. These are just a few of the positive reviews about the Morphiis mattress; there are, in fact, so many glowing and gushing reviews about this mattress that we cant list them all here; it would take up all our space! And in addition to customers saying what a comfortable and supportive mattress this is in general, quite a few of them have reported that it’s a great option if you suffer from a chronic medical condition that makes sleeping comfortably difficult or if you’ve suffered from an injury that makes resting without pain or discomfort difficult. They report that thanks to the innovative design of the mattress that allows you to shift around the inserts to change the firmness levels for different portions of your body, this mattress can help provide you with greater comfort and relaxation when sleeping, even if you’re injured. 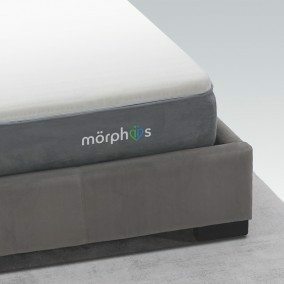 As you can see, the Morphiis is a truly unique mattress that features an innovative design that sets it apart from other mattresses currently available for purchase. Not only can the firmness and support levels be adjusted on both sides of the mattress, it’s also designed to minimize motion transference and heat retention. All in all, we feel that it’s an excellent mattress that has the potential to provide a great sleep experience for many people. We hope that you’ve found this article helpful and informative on whether or not the Morphiis mattress might be a good option for you and your own sleep needs; remember, this mattress comes with a 100-day trial, so you can try it out risk-free and return it if it’s not right for your.